Hahnweide ! Eskilstuna ! French Nationals in Bailleau ! Danish Nationals ! SORIA …the latest!!! Hahnweide last Wednesday as seen by Philippe de Pechy. On Wednesday the weather was sunny and pretty good again, in the end it turned out extremely good and high. So 4 more day’s to go ! 18 m; 478 km for Russell Cheetham in the JS 3 in time 3.35, so a nice speed of 133,13 km./h. At this stage 3 UK pilots in the overall top 3.Steve,[3.927] Russell [3.926] and Phil [3.920] !!!!!!!!!. 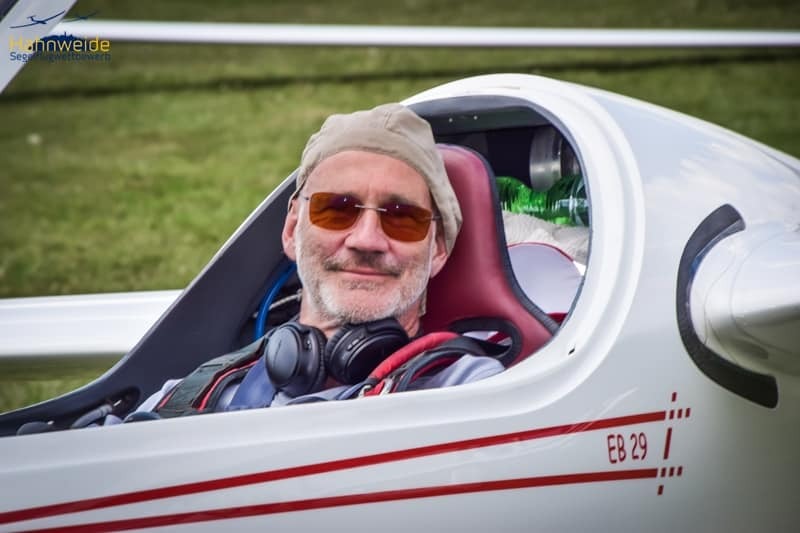 open; FAST speed by winner Markus Frank in his EB 29;141.99 km./h over 434,81 km ., that was remarkable faster than the runner Eric Bernard JS1c evo 21M]who flew around with 127.56. km./h. over 399.07 km. 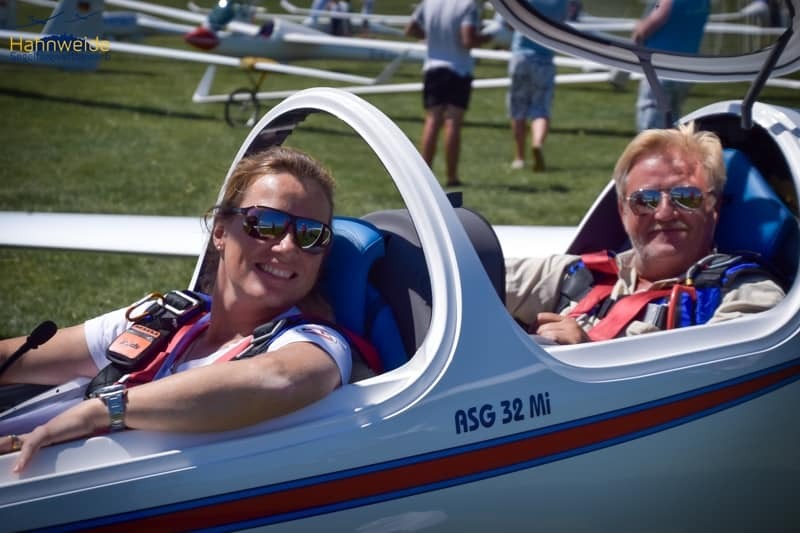 2-seater;Great job from Katrin Senne;440.39 km in time 329.22. speed 125.83 km.h. The number 1 overall on day 2 and 3 in the 2-seaterclass is the one involved in the midair. Glad all 3 survived!! One way or another parachutes are more and more important!!!!! Katrin in the 2-seater after her win and Marcus in open after his win. Thursday was a well-deserved day-off. RESTDAY !! !The weather was “crap” for flying anyhow, though some flew local ,just for fun . Also good for all kind of visit’s as the MERCEDES BENZ museum and the SCHEMPP-HIRTH business. On Friday the tactical games were on again,..at least that’s what they hoped for. AAT’s were set and they waited….But in vain …a pity. The day was cancelled. 383 km. was flown in time 3.30 at the dot. Good on you Maximilian Schaefer. They did not start together did not finish together , but both had 1000 points; good on you Howard Jones [372 km in time 3.26] !! Maximilian moved from a shared 3d place to a ” shared” runner up spot !! !So did Howard both had 4.936 points!!! WHO WON ????? Robin Sittmann, who won day 2 and 4. Congratulations!!! The HAHNWEIDE 15 m. WINNERS !!! NEVER underestimate Russell, the reigning world champion in open class !! He flew on the last day the most kilometers 445 ,but he ran a bit out of time;3.46,50. But in the NEW JS 3, he still gained 955 daily points , so he stayed on spot 1 overall with 4.882 points. GOOD !!! The French pilots Denis Geurin [4.815] and Jean Denis Barrois [4.793] followed on spot 2 and 3. both in JS 1. The last day was an ETA- day. Uli won with 440.90 km in time 3.38. Not enough points to win the Hahnweide but spot 6 is just GOOD!!! Except for day 1 when Pierre and Arnaud topped the overall list, Marcus Frank [EB 29] topped the next days, as well as the last one; so the winner with 4.995 points. Well done!!! Also in this class he was surrounded by 2 French pilots Eric Bernard [4.718] and Phillippe de Pechy [4.716 !!] both in the JS1c evo 21M. THE HAHNWEIDE OPEN CLASS TOPPERS. On a very good 4th place team KATRIN SENNE. A happy bunch of 2018-WINNERS. Next year for sure will be exciting again.Always great fun that HAHNWEIDE competition, also to follow from home. By the way all pictures from the CHAMPIONS credit HAHNWEIDE ORGANISATION. 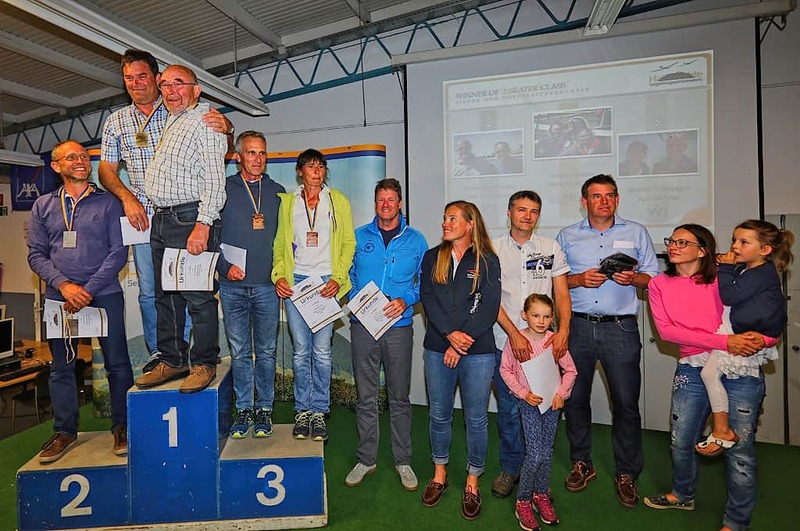 The French Nationals for 15 m. standard and 2 seaters in ONE handicapped class continued. Task 4 out of 4 was set on Wednesday ;276 km. It turned out a tough day with many air-space infringements and a total of 3 [LS 8, Ventus 2AX and ASW 27 ] of 49 finished. Winner was Adrien Henry . Alexandre Boillot was the runner up and leads overall now after 4 day’s. Some must have seen the airfield but could not reach it; they flew 272 km. Thursday ;345 km. 45 from 48 pilots finished!!! Good day!!! Winner;Christope Ruch in the Ventus 2ax. He flew around with a speed of 120.44 km./h. Runner up Frederic Hoyau had a speed of 116.90 km./h. Friday; 280,61 km. and this time not Adrien but Julien Henry was the best in the LS 8;81.03 km./h. AND,..the 2d day with 1000 points so good business for Julien who moved up overall from 36 to 28 . As there was no task on Saturday,…. the last day was not flown anymore so the Friday final scores overall remained as the scores for the CHAMPIONS. He won NOT one day but was always somewhere in the daily top;Meric. So a consistent winner; 1. Meric Morel in the ASW 27 4.373 points….2. Christophe Ruch 4.218 [Ventus 2ax] and 2 pilots on spot 3 .Alexandre Boillot [Ventus 2ax 4.212] and Louis Bouderlique [Discus 2a] . 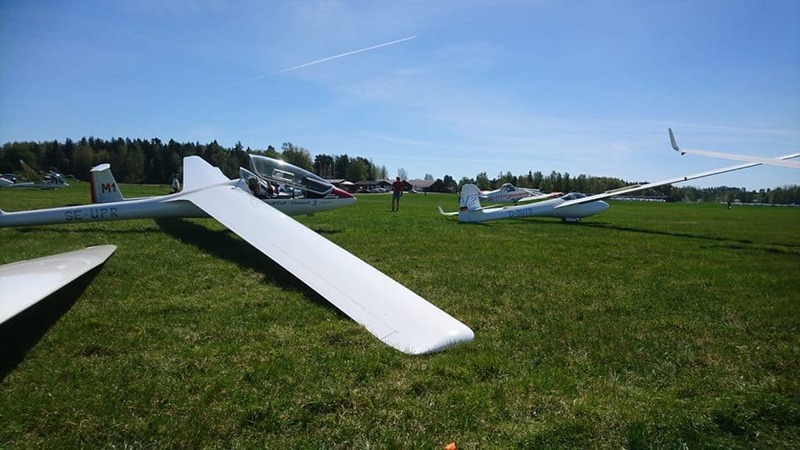 53 Competitors in 5 classes are flying in a period between May 10 and 19 from Arnborg to be the DANISH CHAMPION in each of those classes. No flying on the 10th but then 5 day’s in a row and good, better, the best weather!!!!. Here a review about those first 5 days. standard; 9 pilots in this class started with a 267 km. task  and 8 flew it. Then 2 smaller tasks[3 and 4] and several out-landings. Task 5; 347 km.and flown by 6 out of 9. Best speed 98 km./h in LS 8. AND,…a 1000 points-day. 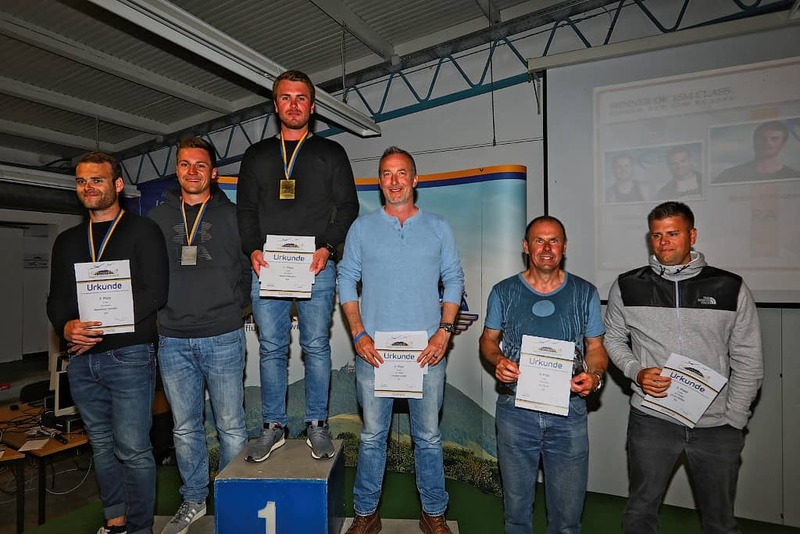 In this class after 5 day’s the overall scores are; Poul Kim Larsen in Discus 2 with 3.755 points and runner up Filip Bojanowski in Discus 2A with 3.657 p.
club;13 pilots among them Jan Andersen in ASW 20 WL [I am used to see him in open class] and Rasmus Ørskov. [Discus] A 248 km set task was their first day, followed by 2 smaller tasks both won by Jan. Task 5; 274 km. All pilots finished but 3 went into a forbidden area and got virtual stuck on 34 km. Unfortunately Jan was one of them so a lot of points lost. Winner; Rasmus, a young father now , but still time to fly well; 98 km./h. Rasmus , by the way, is the son from Brigitte who spends with Joergen [Thomsen] half a year in Tocumwal. I met Rasmus already years ago at JWGC’s and found him then,…a TALENT. Task 6 ; 255 km. ALL pilots flew the task and yes,yes, Jan was the best;89 km./h. A pity from task 4. Overall results after 5 flying day’s ; Sviatoslav Roublev in Discus [3.362] and Rasmus as runner up with 3.228 p.
15 m; 11 pilots among them Stig Øye. [Ventus 2ct] 267 km was set for them and ALL pilots flew the task. Also here 2 less good days with small tasks and Stig won task 4. EVERYBODY out-landed ,but his skills brought him to spot 1 for the day, with 126 km. flown from the 141 km. set. task 5; 347 km.A day with 1000 points and they were for Stig. Good on him.Speed 97 km./h .6 From 11 finished. task 6; 258 km.Yes Yes again !!! Stig won another day with a speed of 99 km./h. Only one out-landing 30 k. out. A pity! Overall scores after 5 day’s; Johnny Jensen in ASW 27 b;4.651 points and Stig as runner up with 3.440 p.
task 6; 304 km. A 1000 points-day in this class and those points were for Morten Hugo Bennick in the Ventus 2ct; 98 km./h. Henrik was runner up. After 5 day’s it looks like this ;Arne 3.558 p. and Henrik 3.181 p. and 3.144 for Peter. 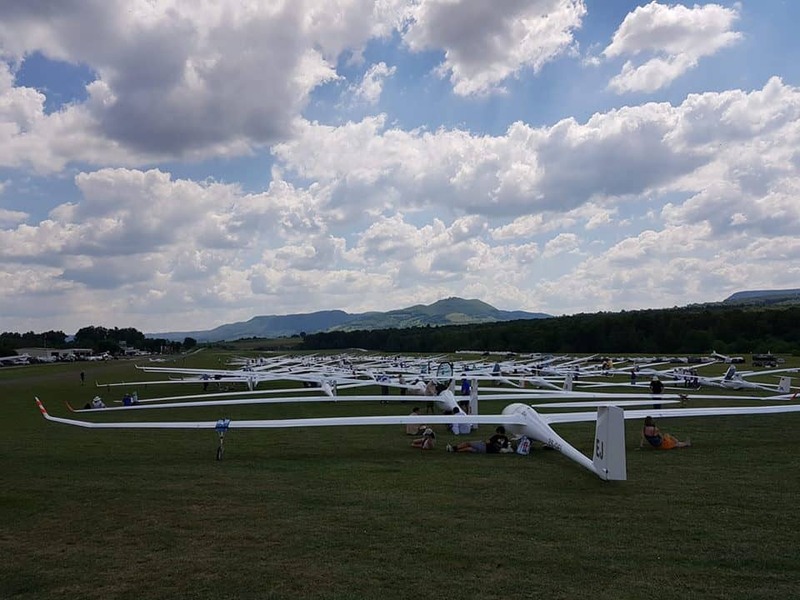 2-seaters;11 participants flying 1 DG 1000 T and the rest Duo Discus or Arcus M or T. The first 3 flying day’s [task 2/3 and 4] had each a different winner. A duo Discus T, then an ARCUS M and Duo Discus XLT. Task 5; 302 km.Only one team flew over 100 km./h; Hoelgaard and Andersen [ARCUS T] . All 11 teams finished!!! Task 6; 258 km. and in ONLY this class they managed to fly just over 100 km./h. GOOD from team Hoeck & Nielsen. ARCUS T.
The overall scores after 5 day’s; Hoelgaard & Andersen with 3.457 points and not too far behind the Duo Discus T from Larsen & Pedersen with 3.437 !!!! Only 20 points!!! Still 3 day’s to go and 4 when they include the 19th. Eskilstuna ready to go on Wednesday. Picture courtesy Per Carlin, daily winner. Small tasks for the 3 classes on Wednesday and a tough day for quite a few  who did not manage to finish. Daily winners as well; Owe Engström ,in openracing in the ASH 25 EB, Magnus Hyllander in racing and Per Carlin [ LS 1f] was the best in club class. Unfortunately the last 3 day’s had to be cancelled!! 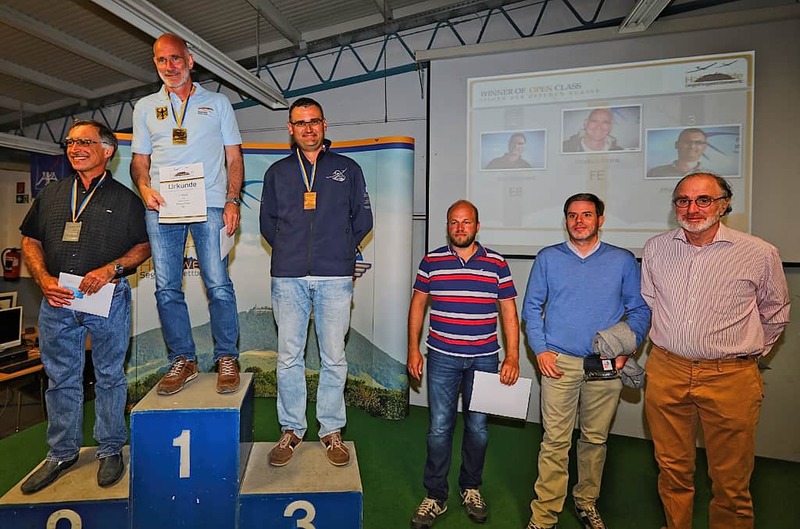 Winners after 3 days of flying in racing open; 1. 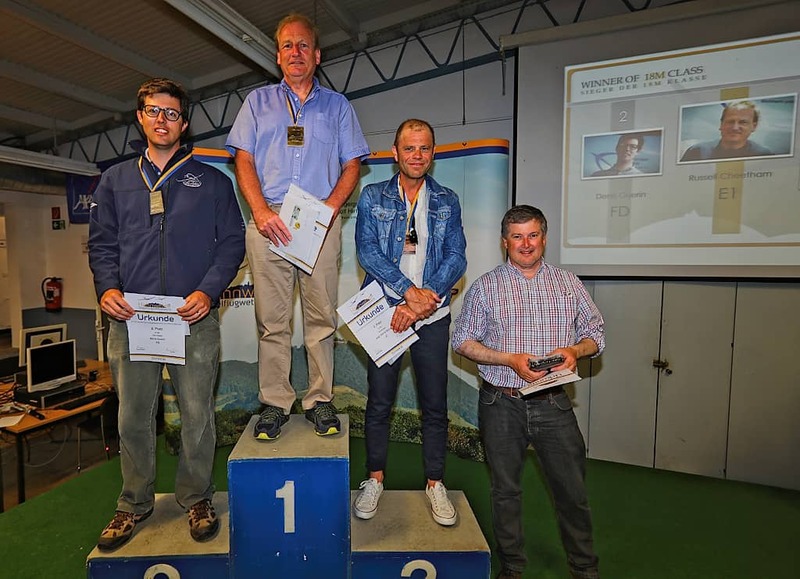 Gunnar Karlsson in Ventus 2cxa 1.666 points and runner up from Norway Erlend Sørbye with 1.622 in Nimbus 4DM. In racing; 1. Ronny Lindell 1.346 points[Discus 2T] followed by Richard Swanström and Jan-Ola Nordh with 1.318 and 1.316 points !!! Kiki [Jacky Clairbaux] had a first guest to welcome in Soria in Spain;Ricky Brigliadori from Italy. 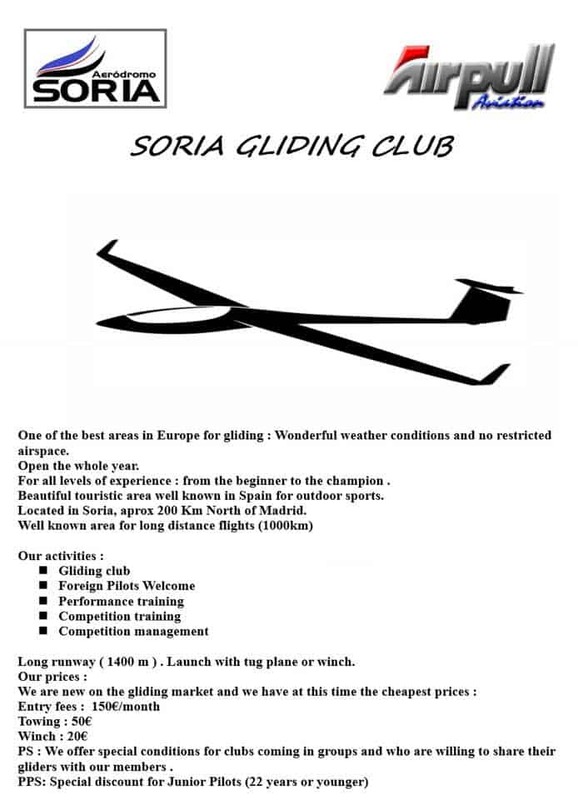 SORIA; New Gliding Center in Spain, here is the latest!!! As you, I was interested when Kiki [Jacky Clerbaux] mentioned a new adventure in Spain. So I checked for you and got answers. 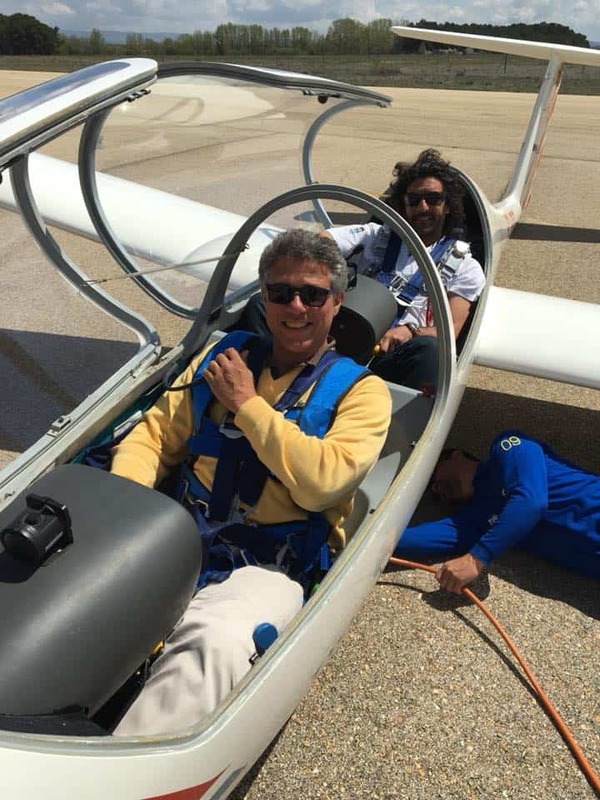 After living in Ukraine [2.5 years] ,he moved since the beginning of April to Spain for a new gliding project. Not as an instructor[ because he has lost all his licenses for medical reasons] but as adviser . 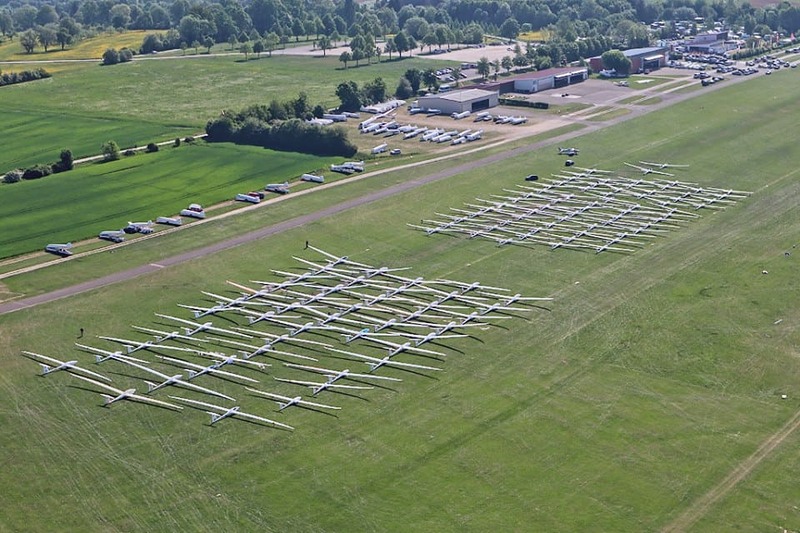 “This gliding center is managed by a private aviation academy : Airpull. Their school ( from beginner to commercial pilot license) is located in Requenna near Valencia.. But they manage also another airfield located in Soria in the North of Madrid (200 kms ) . This flight area is one of the best in Europe . It’s the central Spain where a lot of 1000 kms were made in the past . It’s a large airfield with a long runway ( 1700 m ) with 1350 m of concrete . The airspace is free and the possibilities to out land are good . So the pilots we would like to have as guest are from the beginners to the champions. The area around is very beautiful with a natural landscape very interesting . The region is well known in Spain for the outdoor sports. It means than the pilots can come with their family and everybody will be happy . To develop our local club for Spanish members . 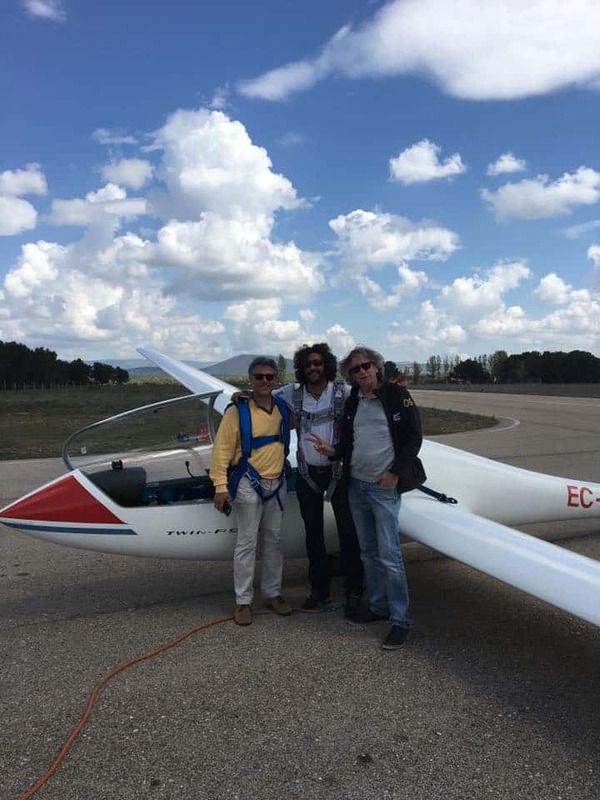 We are thinking also to make a link with the aviation school and to use gliding as ab -initio teaching method. We are going to bid for the organisation of the national championship next year. But I am also very happy to inform you that next year we are going to organize a master championship /: MASTER 1000 . Our goal will be to propose tasks of 1000 kms when the weather will be favorable . The dates are not yet definitly decided but it will be in June or July. We have also met our IGC delegate : Angel Cassado and already announced our wish to organize a FAI championship in 2022 . Next year I would like to organize two weeks in the spirit of : Fly with the champions . We invite 5 to 10 champions for teaching 30 pilots to reach the highest level . With courses , conferences , exchanges of experiences and a lot of fun . No flags . No nationality . Just the sharing of our passion. Our prices are willingly the cheapest on the market in a wish of promotion . Entry fees : 150 E per month . Towing : 5 E/min . Winch : 20 E .
We do discount for the juniors. We offer special prices to clubs coming together and ready to let the use of their gliders to our members . —–Well there you are, lot’s of news !! !On top of that , the Belgian[ May 19-27] and Dutch Nationals [May 16-25]will start soon. Only 31 participants in Holland., but a few toppers included; 10 in 18 m, 11 in combi and 10 in open. They start today whilst yesterday was a HAMMERDAY with over 700 km. in a Duo Discus XLT [without water! ]from Hilversum[Best flight in Europe yesterday!!! ]and a total of 61 flights …18 over 500 km !!! Good day for Holland!!! Even a 300 triangle mainly over Holland in a KA 6e. WOW!!! The next 2 day’s pretty crappy with lot’s of wind and some local showers/thunderstorms, “There must be a competition start” BUT,…. Pentecost will be good again, so no worries!! Only 30 in Belgium as well including some toppers too; 8 in Standard , 11 in combi and 11 in 18m./open. Will try to keep an eye on both of them. And to finish ,again the link from the great pictures from Bert jr. [1.500 km. flight] when you missed it in my last blog. With the NEW European Security law, it will be nearly impossible to share pictures with people on it with you. I will more and more ask to publish a picture and till now that really worked SUPER, but I can’t ask ALL people on pictures if they allow me to publish. See how this in the “real” world is going to work.Still have a week.